First off let me just say I am happily still working on my sign project, as is my daughter but since I really should have thought harder about my daughter’s sign we have changed direction and now I have a few more letters to cut out. Oh well. In the meantime, I would like to relate a slightly different tale. It has been my pleasure of the past year to watch a number of true craftsmen at work. 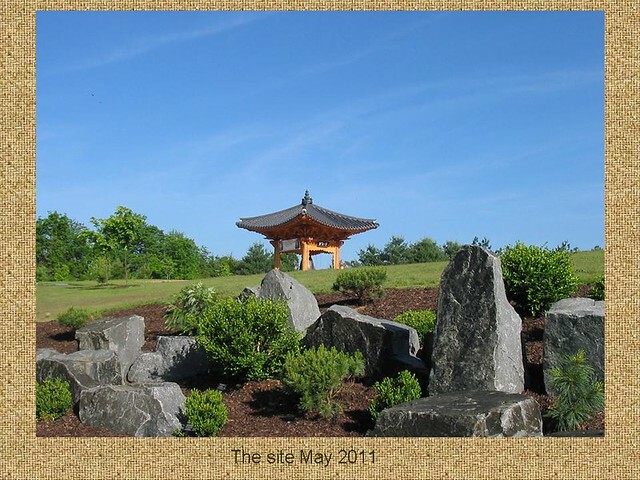 The dedication of the Korean Bell Garden Pavilion at Meadowlark Botanical Gardens was last weekend. It has been truly something to watch this being built. This entire structure only has maybe about 2 dozen bolts in it. Everything interlocks together. This was the awesome thing to watch. These guys built several dozen of the same pieces in order to have everything fit together with a small amount of hammering on occasion. As soon as I receive permission from another friend I will post pictures of some of the work in progress as I know folks here will want to see some of the up close stuff. 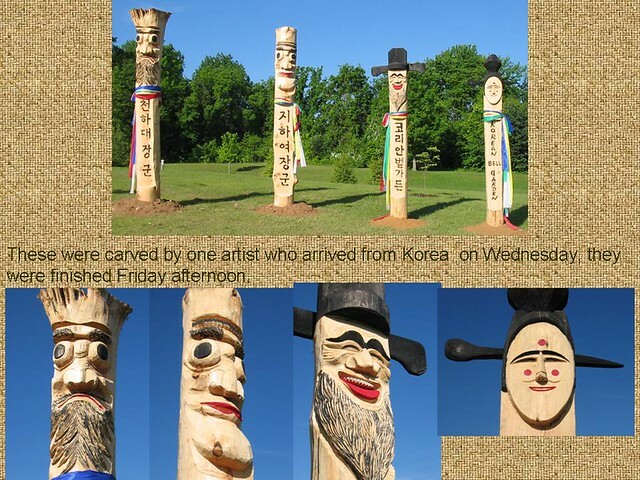 In order to celebrate the dedication of the bell installation an artist came from Korea to carve some traditional totem poles (jangseung). I was not able to watch him but it is my understanding these were all carved by hand with axes, froes, and chisels. 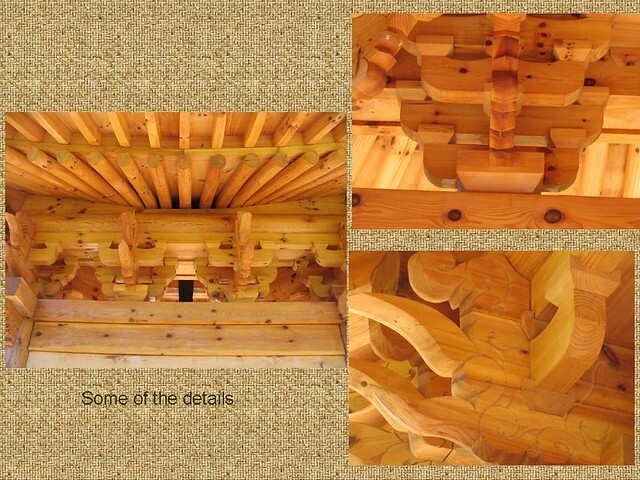 Some of the detailing was actually burned into them with a torch. 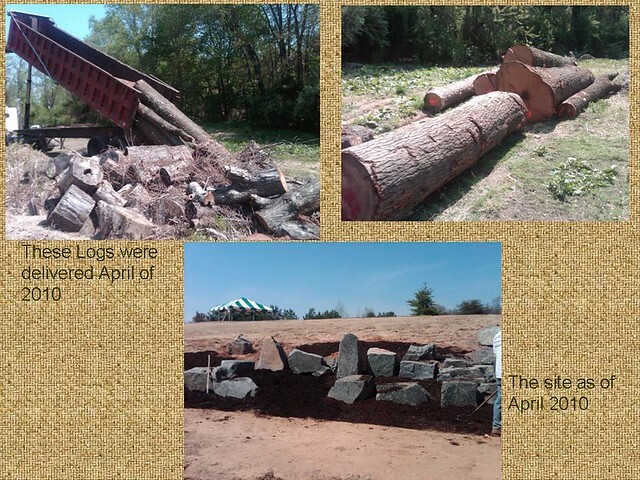 As a LumberJock it has been a true pleasure to be able to watch as this structure has been assembled over the past year. I will look to get some of the in progress pictures up soon. If you happen to be in the Northern Virginia area I would encourage you to check this place out, and let me know. Hope everyone has a good week in the shop and out.